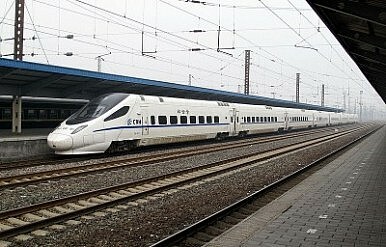 Chinese officials have pressured media outlets to tone down coverage of the July 23 rail accident. They’re not happy. The July 23 high-speed train accident has resulted in double heartache for China’s media. On the one hand, they have felt the agony of those who perished in the accident. On the other, they feel frustrated by the deteriorating media environment in the country. Since the accident, officials have asked media outlets to ‘cool down’ reports over the incident. This has left the media with a choice – either continue to report, but focus on the humanitarian aspects of what happened, or succumb to official pressure and give up reporting on the issue altogether. As things stand, most have preferred the latter. But some brave media outlets have been playing something akin to hide and seek with the authorities. Mainstream news portals including Netease and Sohu, for example, have all had to pull special reports on the accident. However, they’ve managed to introduce some coverage by using articles related to the mass shooting in Norway or stories tied to Japan’s own experience with rail incidents to discuss how Chinese authorities should have handled the July accident. Two days after the media gag was introduced, Sohu’s homepage carried news related to Norway’s decision to lower flags to half-mast after dozens were shot dead by Anders Behring Breivik.Sohu’s decision to mention the flags was a swipe at the Chinese authorities, who had failed to call for a similar lowering of flags in China. Netease, for its part, ran a headline about how the Norwegian police had searched for victims for six days – a clear dig at how China’s Railways Ministry was quick to declare there were no survivors, despite a young girl being found alive two days after the accident. Netease also ran a report on a 2005 derailment in Japan, noting that the Japanese authorities spent six years investigating that incident, indicting several government officials in the process. These media ‘games’ have reminded me of an article that appeared last year in the Xiaoxiang Morning Post. Back then, the paper boldly published an article on the end of the Qing Dynasty in 1911, the clear implication being that the current regime could fall 100 years later. Of course, it’s true that overall the media here has generally eased off in its reporting of the accident. But there has been growing frustration in the press over the way the government has handled the situation, and many have been left wondering why these restrictions have been put in place if there aren’t any problems that could be uncovered?